I'm not usually one for 'natural'-looking makeup, but as summer is growing nearer, I've decided to start experimenting with glowy summer looks and less eye makeup (by this, I basically mean less falsies! ), as there is nothing worse than streaming black eye makeup and melting foundation during the summer months. I'm always envious of those who seem to always have that natural, golden, dewy-glowing look about them (I'm talking a Millie-Mac-from-MIC kind of glow), so I thought I would set about recreating the look for myself. When perusing my product stash for suitable products to recreate this look with, my eyes fell upon the Naked Flushed Palette and I just knew it would be the perfect product for the job. I got this whilst interning at Marie Claire a few months ago and have been in love with it ever since. 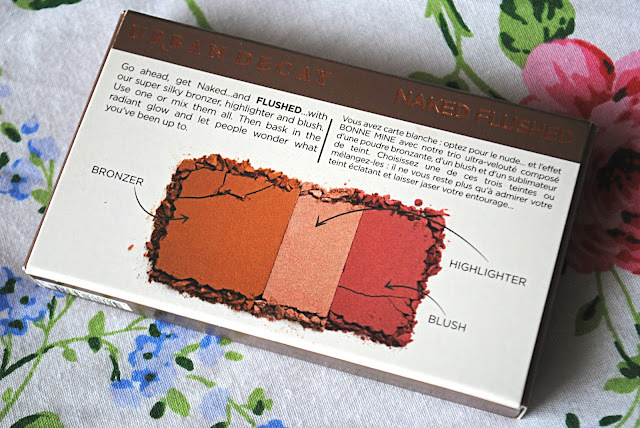 I'm a huge fan of Urban Decay, but I've only really ever used their primers and eyeshadows, so trying out their blush/bronzer/highlighter palette was an exciting experience, and I had high hopes, if their amazing shadows were anything to go by. I wasn't disappointed. 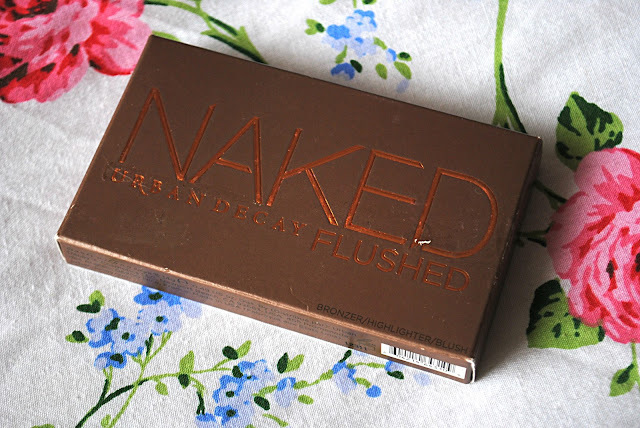 The Naked Flushed Palette features three gorgeous products; a matte bronzer, suitable for a plethora of skintones, a shimmery beige highlighter, and a basic pink blush with a slight coral tint to it, again, suitable for multiple skintones. I love the bronzer - it is a lighter shade than I would usually go for but it's buildable and this is great for when I'm paler, or if I just want a subtle bronze over my cheekbones. I love matte bronzers and this is a gorgeous shade. The highlighter is seriously STUNNING. I was a bit underwhelmed when looking at it in the pan, but on the skin it gives the most gorgeous radiant glow. I used it on my brow bone, my cheekbones, my nose, chin and cupid's bow and absolutely loved the healthy sheen it gave me. 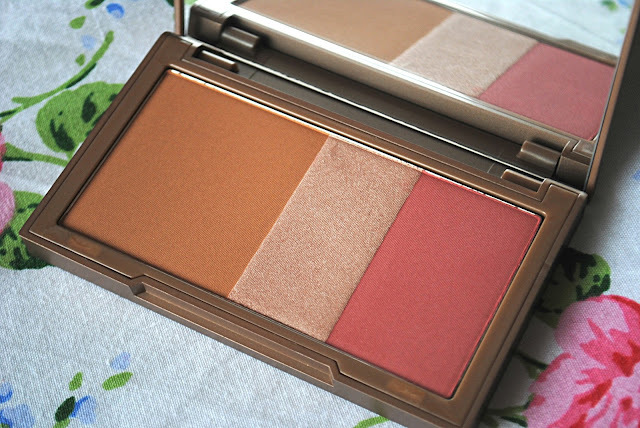 The blush is also a lovely colour that will compliment so many skintones, and gives a really pretty flush. I used all the products separately in the images above, but they can also be swirled together to create a really pretty mix. For the rest of the look, I kept it pretty simple. I used Urban Decay Moonbeam and Sidecar on my lids, some pale shimmery shadow in my tear ducts, a flick of black eyeliner to line my eyes, and swept some mascara over my lashes. 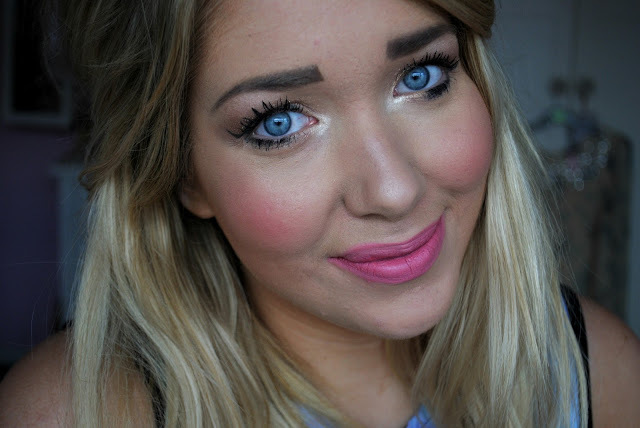 I then added a touch of MAC's Please Me lippy to my lips and voila - the finished look. 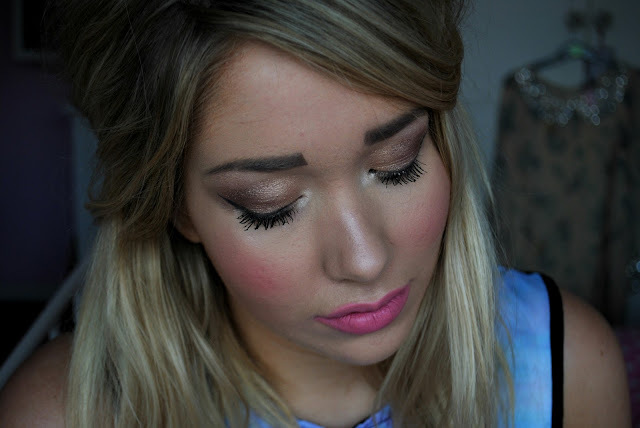 I'm really pleased with how this look turned out and I can't rate the Urban Decay Naked Flushed Palette enough. I absolutely love it and it's perfect for when you're on the go. 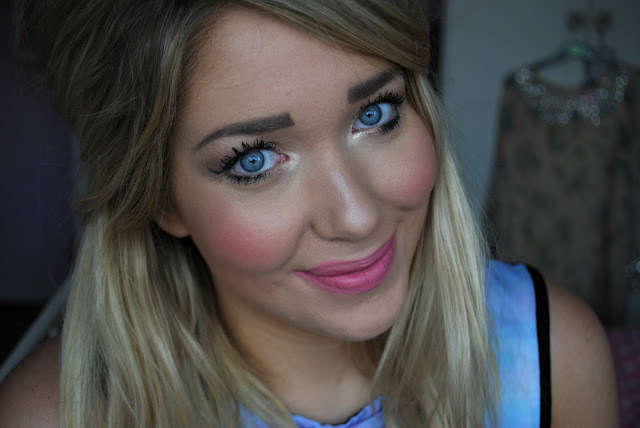 I think it creates a beautiful glowy look and I will be definitely getting a lot of use out of it over the summer. 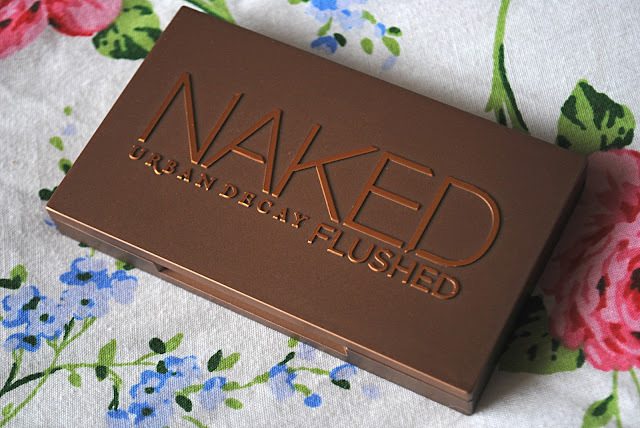 Have you tried Urban Decay's Naked Flushed Palette yet? What do you think of the look I created with it?